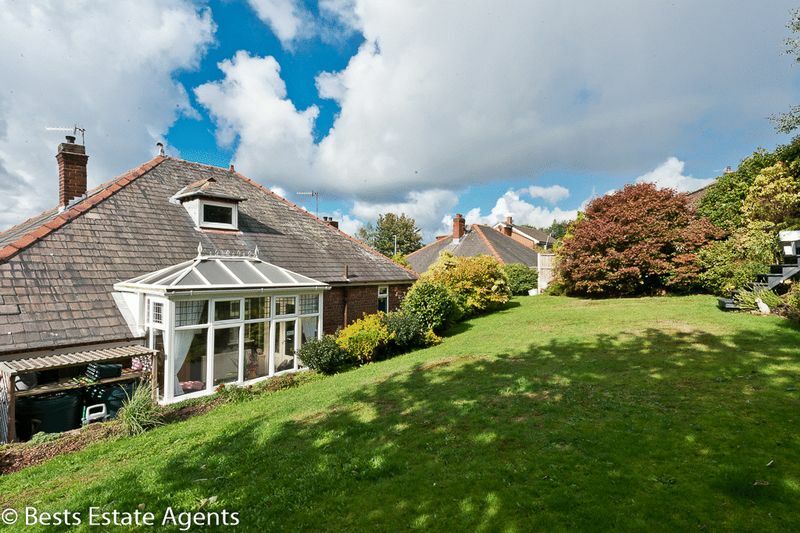 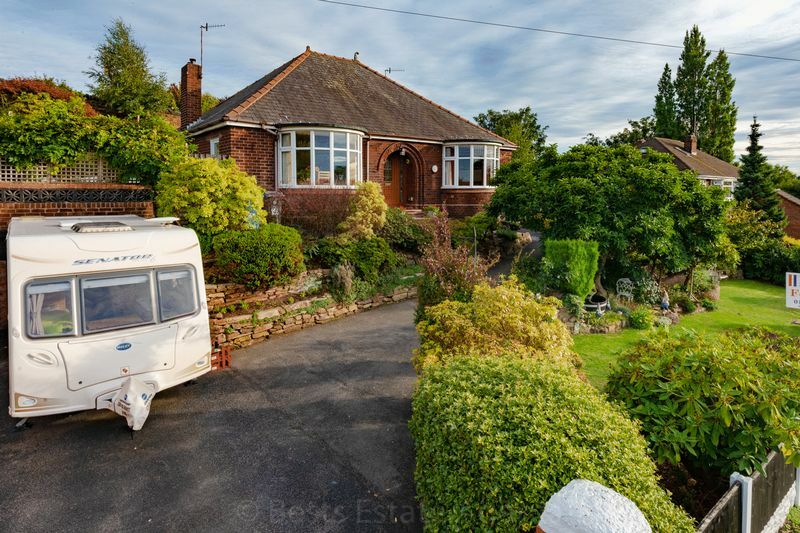 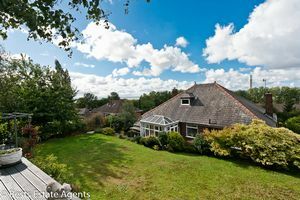 *MATURE TWO BEDROOM BUNGALOW IN LARGE PLOT* Bests are pleased to bring to the market this individual 1930's double bay fronted two bedroom detached bungalow. 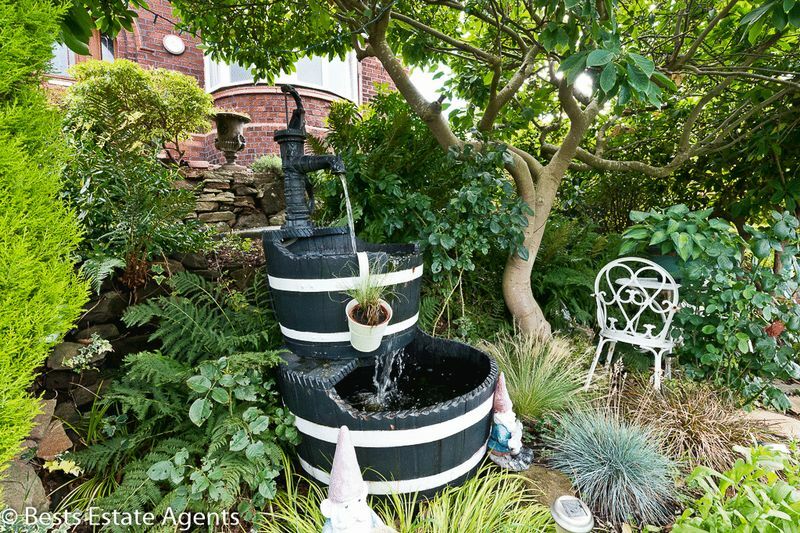 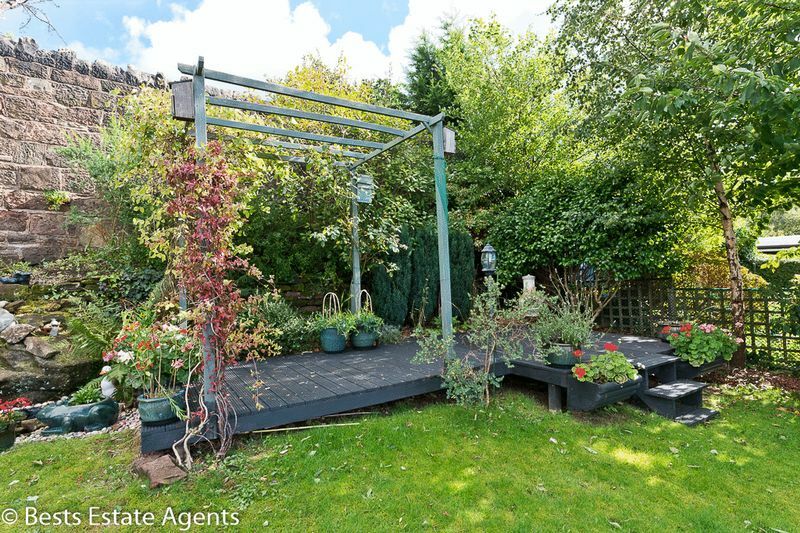 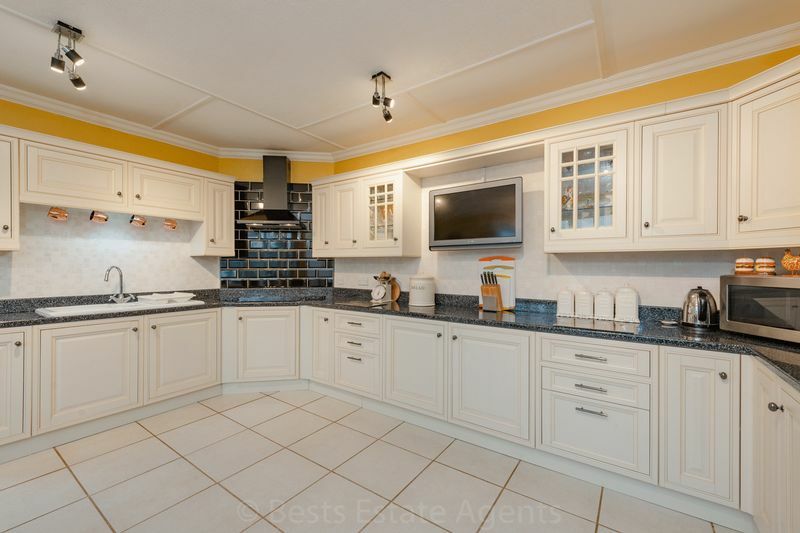 The property is located at the top of Sandy Lane near to the junction with Weston Road, occupying an appealing elevated plot having excellent gardens to three sides with attractive features which enjoy reaching views and sunsets, with attached garage and off road parking. 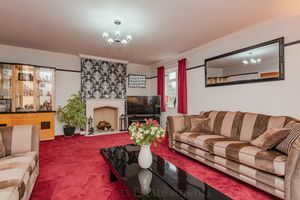 Upon closer inspection viewers will find traditional well proportioned and presented accommodation which benefits from a PVC double glazed conservatory and a large loft area which offers further scope subject to consents, large impressive kitchen and original classic bathroom. 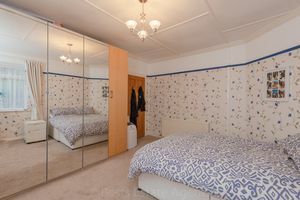 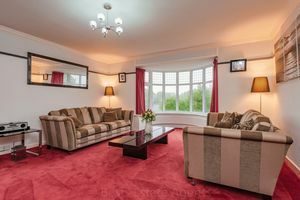 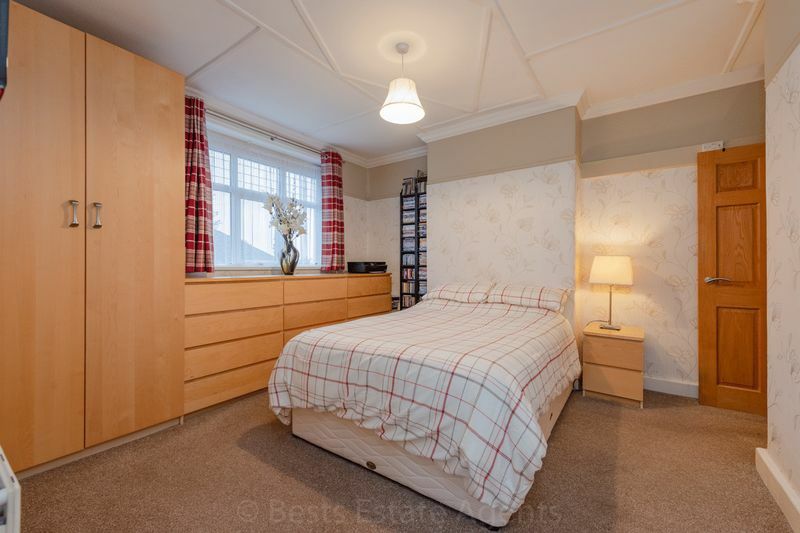 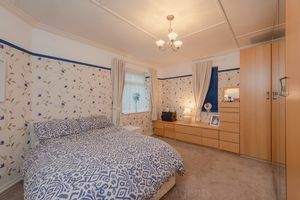 The accommodation has PVC double glazing and gas central heating briefly comprising; welcoming hallway, separate lounge with pleasant view, good size dining kitchen again with pleasant view, two double bedrooms plus a third occasion bedroom/study/dressing room and bathroom. EPC E(54). Viewing certainly advised. Recessed entrance with attractive PVC double glazed front door opens to : A most welcoming hallway real wood flooring, double panel radiator, one double power point, builtin cupboard housing insulated hot water cylinder. 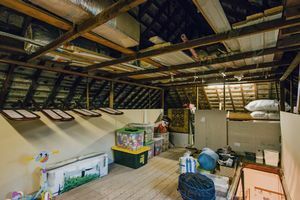 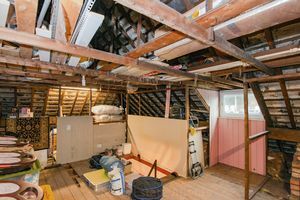 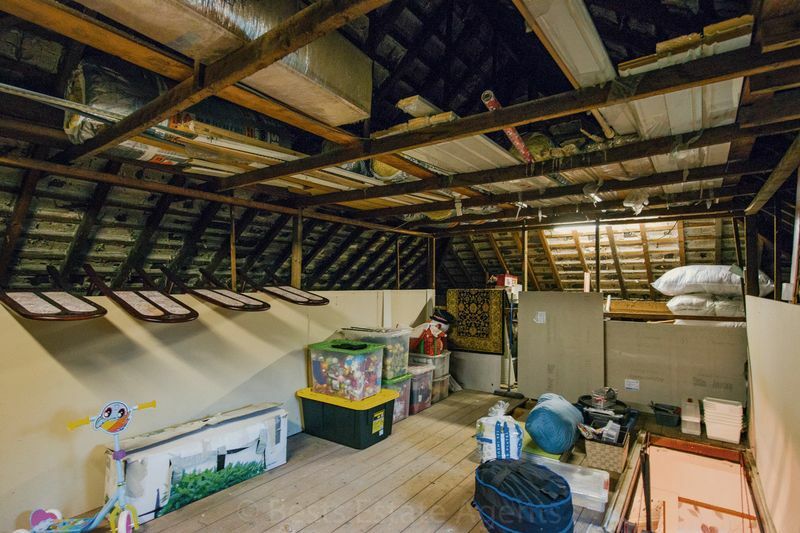 Large loft access with original Slingsby counter balance pull down ladder giving access to a spacious loft area. 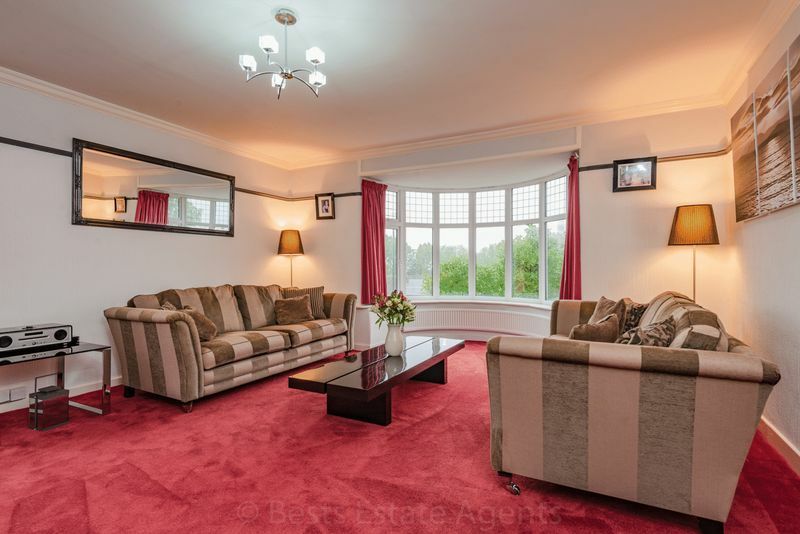 Fire surround, coved ceiling, four double power points, one double and two single radiators, PVC double glazed bay window to front elevation enjoying a pleasant aspect. 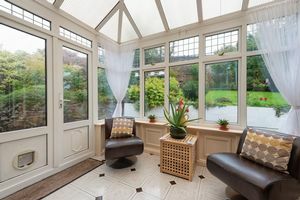 PVC double glazed window to side elevation. 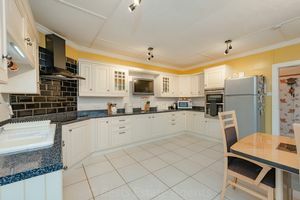 Having a range of built in base and wall units with ample working surfaces comprising: inset one half bowl single drainer enamel sink, four ring induction hob, filter hood above, integrated double oven, four double power points, ceramic tiled floor. 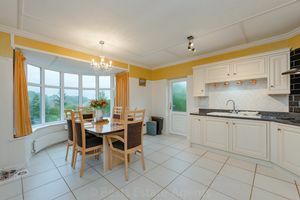 Dining Area: PVC double glazed bay window to front elevation with pleasant aspect, PVC double glazed entrance door to side elevation, one double power point, two double & one single panel radiators. Double panel radiator, PVC double glazed window to side elevation, two double power points. Double panel radiator, two double power points, PVC double glazed windows to side and rear elevations. 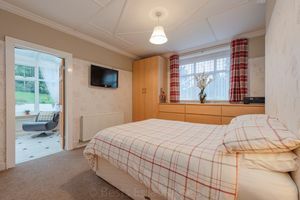 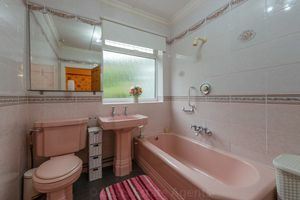 A spacious fully tiled room with classic coloured suite comprising: bath with shower attachment over, pedestal wash hand basin, low level WC, double panel radiator, PVC double glazed window to rear elevation. Ceramic tiled floor, two double power points, double panel radiator, PVC double glazed units, access to utility room. 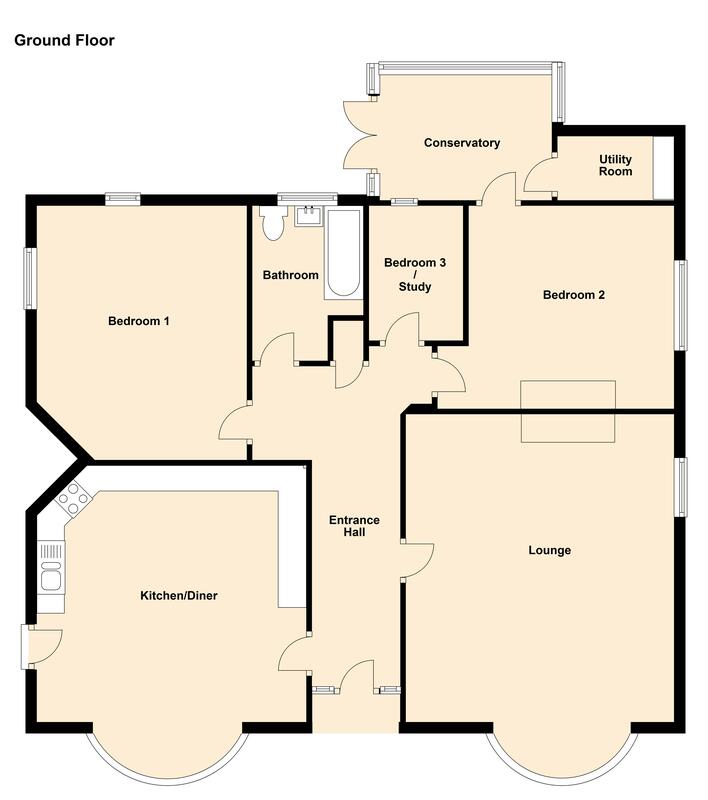 Having plumbing and drainage for automatic washing machine, housing a floor standing gas central heating boiler. 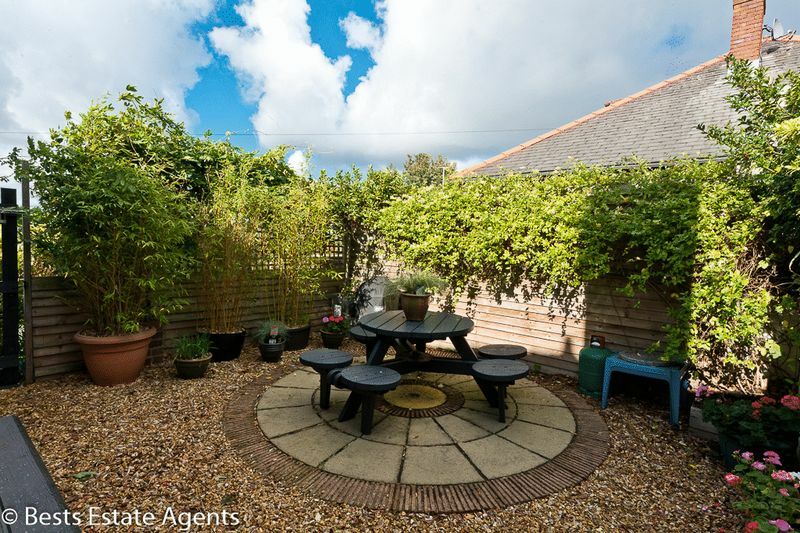 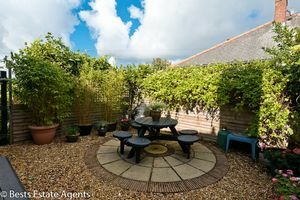 The property is approached over a tarmac drive providing off road parking for two cars leading to an attached garage with double wooden doors power and light. 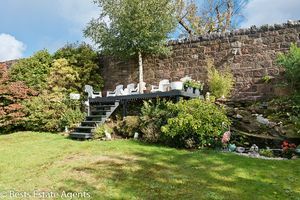 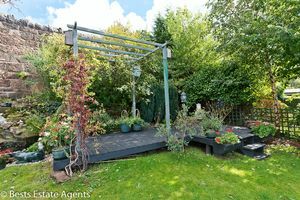 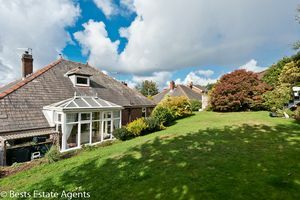 The property stands in a generous elevated plot having well established gardens to three sides, including a patio area over the garage, with interesting aspects and seating area's maximising the sunshine and views. Leave Runcorn via Greenway Road, continue through the traffic lights passing the Cenotaph on the left into Weston Road. 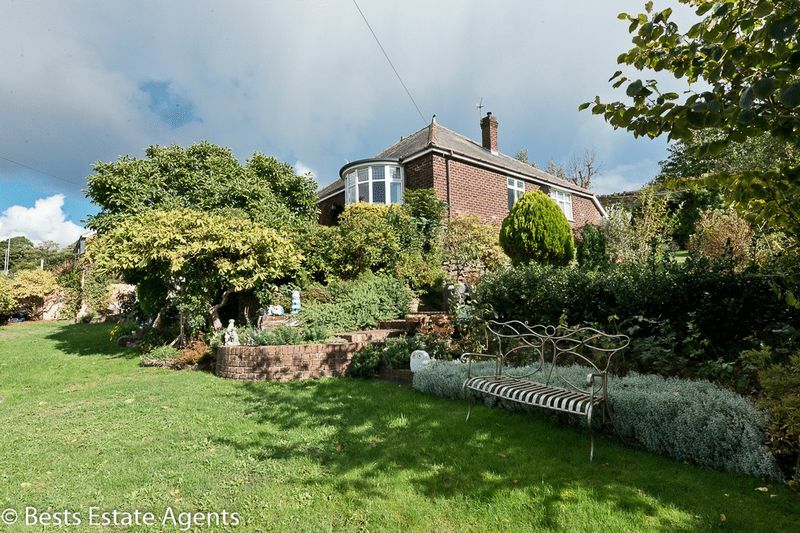 At the junction with Sandy Lane, keep right, 158 is the third property on the left.